The birthplace of Western civilization, the gods of Ancient Greece would not be disappointed by the beauty of their modern day counterpart. Greece remains a country of easy-living and pleasure as people from around the world flock to the sun-bleached houses topped with blue and the azure waters of the Aegean and Mediterranean. 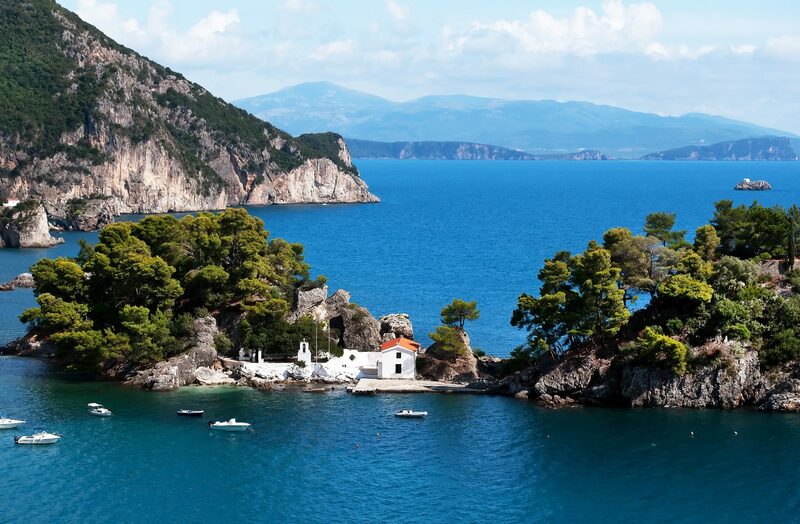 Have a luxury experience worthy of the gods when you take your superyacht and charter through the Greek isles. Jump off your luxury charter and lay your salt-encrusted body on the sandy shores to experience the kind of contentment that can only be experienced and not described. Stroll through the streets of Santorini and taste fresh olives and local cheeses like feta or the well-known soft, honeyed cheeses. At night, although you can’t drink ambrosia, sip on champagne or ouzo while feasting on homemade souvlaki with tzatziki sauce. Experience the Greek zest for life and let it draw you in as you dance till dawn. Embark in Athens and cruise to Sounion for lunch. Swim in the shadow of the magnificent Temple of Poseidon while you mimic the sea creatures residing in his kingdom. Later, cruise to Kea for overnight anchorage and walk one of the many hiking trails before sunset. Visit the main village on the top of the hill to enjoy a seafood dinner overlooking the bay. In the morning, cruise to Mykonos. Known for its beaches, night life and restaurants, you’ll never be bored whether you’re watching for A-listers from the shelter of your striped umbrella or shopping at one of the many luxury boutiques. Capture a picture of the iconic windmills that stand guard above island. Enjoy an early morning cruise to Delos, the birthplace of Apollo and Artemis who rendered the island sacred. An important archaeological site, there are a number of monumental antiquities from the Archaic, the Classical, and the Hellenistic periods. After your historical rendezvous, return to Mykonos for an exciting evening at one of the local clubs. Built in the shape of an amphitheatre over two hills, Poros is the third largest island of the Cyclades. Stroll through the Lemon Forest for a citric experience like no other or visit its beautiful rustic fishing village Naoussa found on the Northwestern tip. In the afternoon, cruise to Ios, and spend the day exploring its temple ruins, windmill and churches. At night, enter the city and revel in the intense Ibiza-like atmosphere. Iconic white-walled houses with domed blue roofs is the classic image conjured whenever one thinks of Greece. Santorini is culprit of this envious panorama as two towering cliffs dip into a caldera caused by an ancient volcanic eruption. Experience the magic at one of the many archaeological sites, on the dance floor of a local disco or in the first sip of a sweet Vinsanto. Have cocktails in the town of Oia for an ethereal sunset, then enjoy dinner ashore at the must-visit Restaurant 1800. Step into a Geek pantry when you enter Sifnos after lunch. With its abundant olive groves, almond trees, and oleander and aromatic herb gardens, treat your senses to the vast array of flavours, scents and sights. Continue your journey through home economics as you pass pottery, basket waving and cookery venues that the island is known for. Visit the medieval town of Kastro Kyllini to stock up on olive and pottery wares or to see the ruins of an ancient castle. Supposedly derived from the ancient Greek word kefthemon, meaning a dark place to hide, the topography used to consist of deep valleys, caves, mines and lush forests. Now often frequented by visitors seeking a relaxing dip in its thermal waters, bathe in one of the many hot springs or visit the local dive center to explore the many shipwrecks and underwater caves in the area. After breakfast, cruise to Athens where you will disembark at noon. Time permitting, stop for a last swim at Sounion.